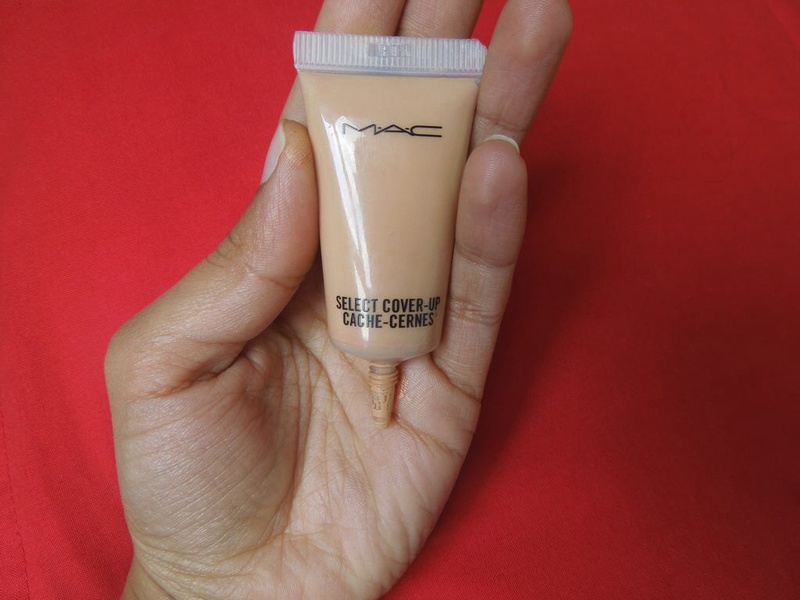 Firstly, let’s brush up on some basic facts regarding concealers.concealers are used in order to cover dark circles under the eye area, blemishes , tattoos , birth marks ,imperfections and other discoloration . I would prefer having one concealer that does everything , rather then carrying around different concealers for the under eye area and another for the face.At times it’s such a mission finding the right product, you don’t want to end up spending too much . Mac products are a bit expensive , but I feel they are value for money , they tend to last longer and the ingredients used are good as well . 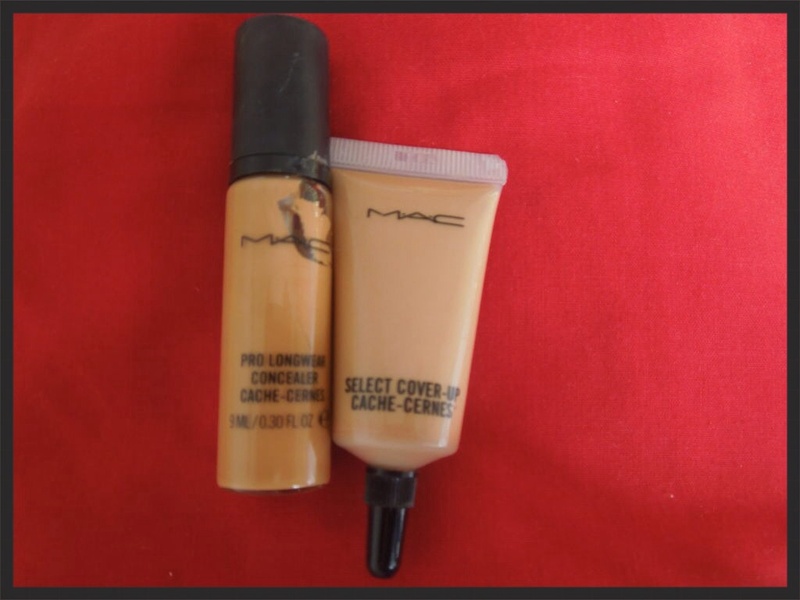 Let us review two MAC concealers . PACKAGING :it comes in a glass bottle with a pump. Have to be careful not to drop it as it will break.Travel friendly as it is a small bottle .The pump on this product can not be controlled , even if you try to squirt half a pump , a lot of wastage occurred ( I usually keep a small container and put excess in their for the next time ) PACKAGING:it comes in a nice plastic Tube making it travel friendly.With the tube it’s easy to squeeze out the exact amount of product you want to use . 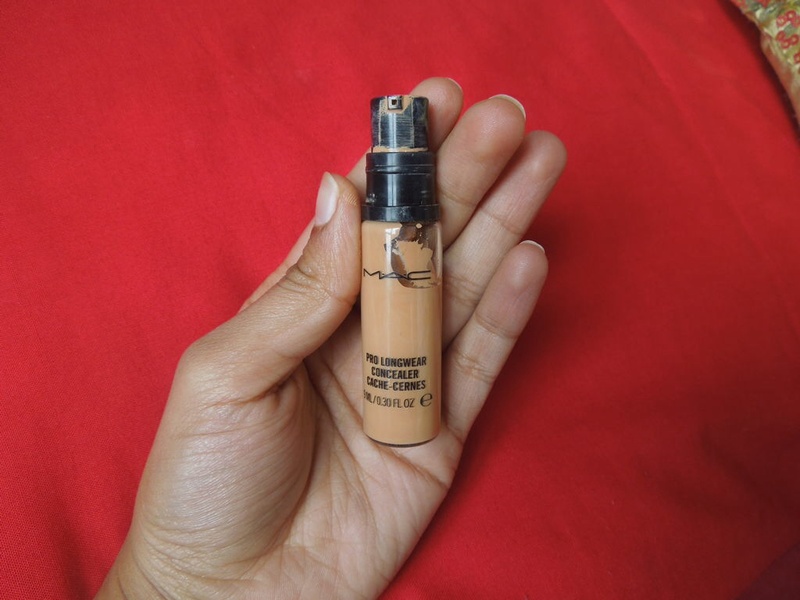 the concealer shades are darker then the foundation.You have to try the concealer at store before purchasing . My view : I have purchased both these concealers at about the same time and I have used the pro LONGWEAR concealer much more then the select cover -up.The select cover-up is nearly close to full and I will not re -purchase this product.As for the pro LONGWEAR I am in love with this product , it does exactly what the packaging says , I do highly recommend the Pro LONGWEAR concealer rather then the select . 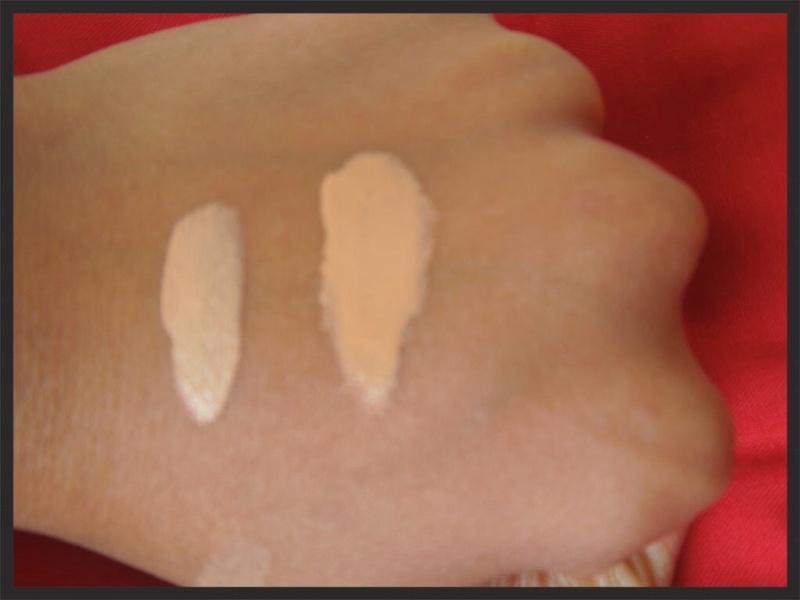 Below I have made swatches on my hand so you can see the difference.On the left side is the select cover-up concealer in the shade nc42 , as you can see it has a thin and runny consistency.On the right side I have the pro longwear concealer also in the shade nc42 .You can see it is more thick and matte looking , you can also notice the color difference although they are both the same shades . dis mac select cover up really works? mac prolong wear s good? Divya , both works with the covering up on the face area , however the prolongwear is more full coverage Nd will last all day long , without doing any touch up .